Mammoth spruce to be cut down in Pennsylvania tomorrow. Here's a shot of last year's tree. The 74-foot tall Norway spruce chosen to grace the plaza as this year’s iconic Rockefeller Center Christmas Tree will be cut down tomorrow from its home in Pennsylvania. The mammoth tree is 46-feet wide and about 75 years old. Crews will string 30,000 multi-colored bulb on five miles of wire on its branches ahead of the much-anticipated lighting ceremony on November 30. And, as usual, it will be topped with a 25,000-crystal Swarovski star. 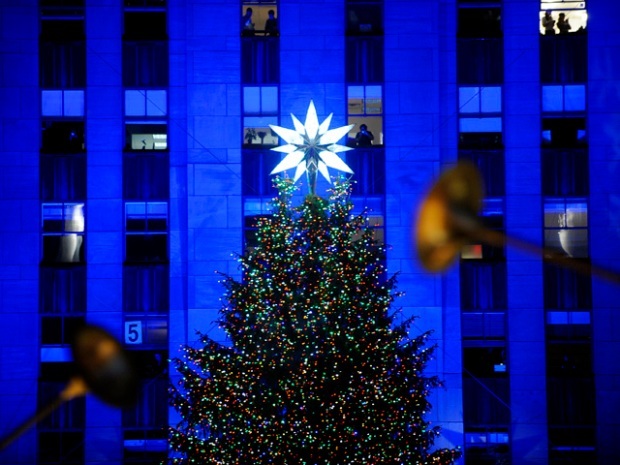 Follow @Christmas30Rock for instant access to Rockefeller Center Christmas Tree updates and news. Join the conversation by using #RockCenterXMAS.